The National Council of Teachers of Mathematics has recommended Math Cats in three issues of its NCTM News Bulletin and online Web Bytes pages, for the months of April 2006, October 2003, and September 2001 . 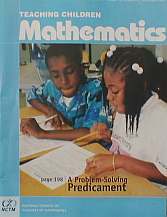 April 2006: "The Math Activities Idea Bank offers resources for teachers, parents, and others that have been suggested by teachers." October 2003: "Enrich children's mathematical understanding with Math Cats, an interactive Web site that provides math explorations, trivia, and classroom activities for all ages." September 2001: "Math Cats is a collection of math games, quizzes, interactive projects, and more for elementary school students." "The Web site at www.mathcats.com offers playful explorations of mathematical ideas that will pique students' interest... The most powerful part of the Web site... is the interactive applets that help students explore mathematics in a way that develops understanding... When students enter the door of "Math Cats Love MicroWorlds!" they will find applets for every Content Standard as well as activities just for fun, many involving problem solving... This rich activity site offers mathematics students plenty to explore." "This website promotes open-ended and playful explorations of important math concepts in the context of online games, interactive applets, and activity suggestions... Unique and diverse online explorations are provided on the website... Student discoveries do not have to stop at the computer; exploring geometry through the hands-on crafts and art activities presented under the Math Crafts section will provide a fun and challenging learning experience as well... "
Math Cats has been selected four times by the Eisenhower National Clearinghouse for Math and Science Education as an ENC Digital Dozen site! "Sink your claws into this site full of math games, explorations, quizzes, interactive projects, facts, and other fun (and educational) stuff. Pardon us, but this is really...the cat's meow..."
"[Math Cats] provides seven online games that call for serious strategic planning. Especially recommended are the math games called 3-dimensional Tic-Tac-Toe and Long Lines of Cats." "Designed by teacher and parent Wendy Petti, the Math Cats web site features fun ways for students to use mathematics with online, interactive activities. Topics include multiplication, estimation, money, shapes, and mathematical vocabulary." The Math Forum features Math Cats in several areas of its site. Math Cats is one of just a handful of sites highlighted in the "Fun Sites for Kids" sections of the Grade K-2, 3-5, and middle school Teachers' Place at the Math Forum. It is one of two "selected sites" out of the many dozens of sites reviewed in the Recreations: Fun for Kids area of the Math Forum Internet Mathematics Library. Read the review! Math Cats was also recommended in the December 18, 2000 issue of Math Forum Internet News. Math Cats was featured in the NRICH Prime Kids' Mag and Staff Room, May 2002. "Do you like making things? Are you the kind of person who enjoys exploring ideas and discovering things for yourself? Do you like creating designs and patterns? If you've answered yes to any of these questions then you'll love Math Cats..."
"...The site is packed with absorbing mathematically based activities... The high proportion of interactive content facilitates independent discovery and learning, yet all the activities would stimulate high quality mathematical discussion, whether this was with an adult or amongst children themselves. The wealth of ideas contained here presents maths in a creative, lively environment that is certain to appeal to children." Read both reviews in their entirety! The USA TODAY Education web site featured Math Cats as a "Best Bet" for the weeks of May 19, 2006 and September 6, 2001. Math Cats was featured as one of the Exploratorium's Ten Cool Sites for September - October 2004 and remains one of its most popular sites and a featured math site. "Like no other math site on the Web! This site really makes learning math fun for kids. From wild, cat-based interactive animations that explain statistics to exciting projects you can do at home, this site is a winner." In October 2006, Math Cats was chosen Site of the Month by the Great Web Sites Committee of the Association for Library Service to Children, a division of the American Library Association. Math Cats has also been one of the page's 10 recommended math sites for several years now. "Emphasizes the logic and beauty of math, rather than drills and practice. Provides open-ended and playful explorations of important math concepts through on-line games, off-line crafts and interactive projects." Math Cats was featured as Site of the Week at the 4teachers.org website for the week of October 16, 2006. "Math Cats encourages a playful exploration and a better understanding of mathematics. The Math Cats make math fun through a whole range of exercises that use colorful illustrations to teach sophisticated concepts. Children have fun with fractions, place values, story problems and much more." Math Cats was selected as a Blue Web'n site on August 3, 2005, joining the Blue Web'n library of Blue Ribbon sites on the Web. "This site has many interactive applets that will invite children into playful explorations of important math concepts. If the child loves cats, then this site is almost guaranteed to please!" Math Cats received a 4-star review from Common Sense Media in May 2005. 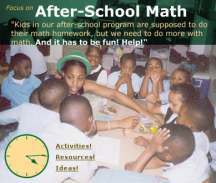 "This fun site features an array of open-ended math activities... Wherever you go in Math Cats, it all adds up to fun." Math Cats was recommended in the January 26, 2005 issue of the Big Learning News Family Education Ezine. Here's a whole bunch of fun, creative activities that build number sense, place-value understanding, estimation skills, and lots more. The site has both online activities and projects to do with real stuff (like paper) offline. Even though the activities are easy and creative, they allow for some pretty sophisticated mathematical reasoning. Math Cats builds skills that all those number-facts drills miss. These skills are just as important to children's mathematical success as times tables are, but are often missed in traditional math instruction..."
Math Cats was one of 10 math sites recommended in the July 2004 online newsletter from Sylvan Learning Center. Math Cats was highlighted in the March 19, 2004 edition of The Scout Report, produced by the Internet Scout Project, part of the National Science Foundation's National Science Digital Library (NSDL) Project. "It is at times very difficult to get children excited about math, but Math Cats (designed by Wendy Petti, a teacher) is an online archive of fun and informative activities that will help young people learn about a number of math topics... The site is divided up into a number of sections, including one that is particularly well-thought out, MicroWorlds... The Math Crafts section is also quite ingenious, providing plans for different fun projects..."
The Scout Report commendation of Math Cats was echoed in the March 19, 2004 edition of the Sci-Tech Library Newsletter, sponsored by the National Science Foundation and posted online by Stanford University Libraries and Academic Information Resources. Math Cats was the featured collection at The Gateway to Educational Materials from February 25 - March 10, 2004. "Math Cats encourages open-ended exploration of math concepts through engaging online and offline activities. Online activities at the award-winning site include the Math Cats Balance (with objects ranging from electrons to galaxies), Polygon Playground, Tessellation Town, Old Egyptian Math Cats Fractions, What a Crowd! (an estimation game), online math art activities, multiplication activities, and much more. Offline activities include math crafts (such as making polyhedra and string art), printable fact family cards, math story problems, and monthly math writing contests. Idea banks for teachers offer suggestions for classroom activities and links to recommended resources. Math Cats has been a member of the GEM Consortium for five years. Wendy Petti, the creator of Math Cats, described her positive experiences with the Gateway in an interview with the authors of "A GEM of a Resource: The Gateway to Educational Materials," MultiMedia Schools, Nov/Dec 2001, http://www.infotoday.com/MMSchools/nov01/tickner&barkhouse.htm." 5 stars for Math Cats! In November 2003, Math Cats received a glowing evaluation from the Parents Information Network, an independent service based in the UK that helps parents to support their children�s learning through the use of computers, software and the Internet. "This site is fabulous. It has something mathematical for everyone in the family and it is great fun. Even if you or your child think you don't enjoy maths, try a few activities here and you will have to think again. Created by a US teacher, this collection of resources is truly amazing and it is well worth a visit. It is hard to describe the appeal of the intriguing interactive explorations, but they are fascinating and will open your eyes to the potential of maths as a creative and stimulating subject..." Read the whole review! Grade Level: 3-5, 6-8 Math Cats received an A+ site review from Education World in December 2003, including content, aesthetics, organization, and an review. "Math Cats is an interactive site devoted to giving students practice with math concepts that promote open-ended exploration... Students of all ages will set their claws into this math site and spend many hours exploring math concepts in these online and offline activities. This is not your typical drill and practice math site but one that encourages exploration and creativity and shows students that math can be fun. Activities cover everything from the simple concepts of addition and subtraction to the more complex concepts of probability, statistics, and geometry... The crafts section offers ideas and suggestions for students to explore geometry while making mobiles and ornaments that are great extensions of the learning in the classroom..."
Education World also selected Math Cats as its "Web Wizard" site for the week of October 28, 2002, in an article called "The (Math) Cat's Meow." "(K - 8) - Wendy Petti, a math teacher and cat-lover, has combined her two passions and created a fun, fresh, fantastic math Web site for elementary students and teachers." In September 2003, Math Cats was recommended in Classroom Flyer, an e-mail newsletter published by Riverdeep. Math Cats was selected twice as TechLearning.com's Site of the Day, on May 13, 2002 and April 28, 2006. "Here's the purrr-fect site for both math and cat lovers. Math Cats is packed with activities covering a variety of math concepts. In this engaging site, you will find math games, math trivia, math investigations, math crafts, an art gallery loaded with student submitted "cat artwork," and more. Students will enjoy this colorful site that is sure to provide hours of fun while learning." "This site has been awarded the Education Planet Math Top Site Award by our teacher/reviewers for its quality content and usefulness to Math educators and students." "Math Cats - Do you think you could ever get your students to say 'Math is Fun'? Thanks to this awesome math creativity and exploration website, you should be able to convince even your strongest hold-outs. These math activities are just fantastic and your students will be honing their understanding of math concepts as they explore and play. The Tessellation Town and the Microworld Projects sections are especially neat..."
"Math Cats is full of fun activities for elementary and middle school students. Games include an interactive multiplication table and playing with tessellations. Find out EXACTLY how old you are, down to the second! The Attic has a magic blackboard, which provides answers to questions if you move the mouse over the blackboard. A bonus for teachers and parents in the MicroWorlds section is a description of what you'll find before you download the activity..."
Math Cats is one of just two kids' math sites recommended on the Cyberchase site. "Engaging online games and interactive applets will help your child explore math in a way that develops understanding. For fun projects to do offline, visit the Math Crafts section." Math Cats is recommended by the Engineering Education Service Center in its "Resources for Women in Science and Engineering." "Teacher/mother Wendy Petti has created a wonderfully engaging and visually striking site that brings mathematics to life through math-related art, crafts, games, facts, and more. Math Cats will probably appeal most to elementary and middle school students, though some of its offerings will intrigue people of any age. "Older Cats" (parents and teachers) will find a useful idea bank of math activities and resources, as well as a newsletter. Though Math Cats is not designed specifically for girls, many girls are among its most enthusiastic audience." Math Cats is recommended by NESTA, the United Kingdom's National Endowment for Science Technology and the Arts, on its Planet Science site. Math Cats is recommended by the IDEA Partnership of the National Association of State Directors of Special Education. "Math never seemed so fun! Join the cool cats as they solve puzzles, think about problems, and apply math ideas to all sorts of situations in real life. Explore the online interactive math activities like Place Value Party, Architecture Blocks, and Magic Squares. You can even use an online calculator to figure out - to the second - Exactly... how old you are! After you try the activities, move on to MicroWorlds, online applications that give you a place to learn about probability, symmetry, money, and more using virtual manipulatives... Don't think the fun ends when you turn off the computer. Math Crafts includes many cool ideas for using string, paper, color and shapes to combine geometry and art. Teachers and parents can see great ideas and post questions for other adults in the Idea Banks area..."
"This site contains entertaining, interactive, educational activities and a gallery of art created with math." Math Cats was recommended in the November 2007 issue of Math Nuz - Math on the Web, published by the Los Angeles (California) Unified School District. Math Cats was recommended in the Partnership Help Desk, Vol. 3, No. 2, August 22, 2003, supported by the Partnership for Kentucky Schools. "There's a preponderance of elementary stuff here, but Math Cats includes activities for a wide range of age levels. Well organized (see the site map), and aimed at open-ended exploration, this product of teacher and mom Wendy Petti is amazingly free of ads and other distractions. There are projects, math-inspired art examples and craft ideas, and other activities." Math Cats was recommended in Creating 21st Century Elementary Mathematics Classrooms, an evaluation report by the West Virginia Department of Education. The Site Map... provides an extraordinarily informative and well-organized guide to Math Cats' main features... Perhaps the most original feature on this site is Math Crafts. Here, visitors receive instructions for making offline craft projects based on mathematical and geometric principles..."
Math Cats was recommended in the November 10, 2008 issue of Leader News: Melbourne, Australia. "This site is child-friendly, suitable mainly for primary-aged children (and their parents and teachers). The site was created by maths teacher and mother of three Wendy Petti. She explains her approach to her career: 'I looked for ways to make learning relevant, open-ended, creative, hands-on, and fun.' And all this shows on mathcats.com. There are maths crafts, a maths art gallery, maths games along with an exploration of maths and the human body, microworlds and much more. If there is a reluctant mathematician in your family, this could be the site to work magic." Math Cats was one of three math sites recommended in the April 2007 issue of Working Mother Magazine. "Math Cats are original icons used in interactive thinking games for younger students teaching place value, addition, subtraction, multiplication and division, conversions, measurement, estimation, probability, statistics, fractions, decimals, coordinate geometry, real-life math, offline math crafts and activities, online math art and geometry, math trivia, terminology, animations, spatial reasoning, logic, and randomization, through fun, writing, games and puzzles. Math Cats was created by a parent and math teacher to 'promote open-ended and playful explorations of important math concepts.'" The Tribune of Northern Colorado selected Math Cats as Web Site of the Week on October 30, 2006. Math Cats was featured on Sound*Bytes, a national radio show distributed to over 500 stations on the CBS News network, during the week of June 7, 2004. "These cats know their math... They're fun and furry, soft and smart. They're the Math Cats, and they're ready to give kids a helping for at www.mathcats.com. Teacher Wendy Petti is the creator of the Math Cats, a band of feline mathematicians who make math fun. This cool, brightly-colored site offers a whole range of math exercises that use simple illustrations to teach sophisticated concepts. Your kids will learn math without even realizing it. And don't miss the daily visit with the real math cats: photos of actual felines in poses which help you figure out the solution to a different word problem every day. You don't have to be a cat person to get a kick out of mathcats.com. These clever kitties can even teach a dog lover a thing or two." "K - Gr 6 A love of cats and math results in a site geared toward teaching concepts with a definite feline theme. 'Math Cats Explore the World' has fun with fractions, place values, story problems, and 'really big numbers.' 'Math Cats Love MicroWorlds' covers estimating, statistics, and geometry..."
Gifted Child Today recommended Math Cats in its Fall 2004 issue. Math Cats received 5 stars (highest ranking) in the April 16, 2003 "Fun with Math" issue of Surfing the Net with Kids, Barbara Feldman's syndicated newspaper column and site. "Teacher and mom Wendy Petti created Math Cats to promote "playful explorations of important math concepts" for elementary and middle-school students and she's certainly succeeded! I loved the interaction between math and art (see Math Crafts and Art Gallery) and the MicroWorlds activities. To get started, you will need to download the free MicroWorlds Web Player but it's worth the effort. Just look at the activity screenshots if you need further convincing. To find activities for a particular age, click on Site Map and Info." In the book, Internet Made Easy: 80 Internet Mini-Scavenger Hunts (Scholastic, 2004), the first math scavenger hunt takes readers on a visit to "Math Cats Convert Numbers." 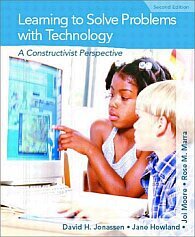 The MicroWorlds section of Math Cats is highlighted in the 2003 book: Learning to Solve Problems with Technology: A Constructivist Perspective. "The Math Cats Web site (http://www.mathcats.com) promotes open-ended exploration of math concepts via MicroWorlds projects. As a computer teacher in an elementary school, Wendy Petti developed the Web site to supplement in-class math activities. It has now become a resource for teachers, homeschool kids, and students in college-level computer courses. The Web site reflects constructivist approaches to learning by encouraging creativity and collaboration. The Web site provides a gallery of projects created by teachers and students. The projects range from simple to complex, and each is accompanied by the Logo programming code so that students can create their own..."
"Math Cats covers everything from counting change to multiplication tables but is specifically geared toward seeing the artistic beauty in math. Visit this site to brush up or test your knowledge with one of Math Cats' numerous activities. Older students can use the Polygon Playground to explore tessellation and symmetry, while younger students can learn how to make paper polyhedral ornaments and find geometry in the human body. There is also an idea bank for teachers." Math Cats is included in the best-selling guide, The Internet Kids and Family Yellow Pages, by "Net-Mom" Jean Armour Polly (who is credited with coining the expression "surfing the Internet" in 1992). Math Cats is one of 8 math sites recommended on Net-Mom's Nice Sites: "Practice with pattern building in 'Tessellation Town,' build a collection of paper polyhedrals, and find out exactly how old you are. 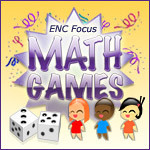 Fabulous math games, crafts, and just plain fun times await you. Watch out for the Bag of Mice!" Math Cats was one of three "best math sites" honored on Net-Mom's "Nice Site Awards 2001," (announced Feb. 17, 2002). Jean Polly wrote to Math Cats, March 2004, "I'm still enchanted by your very cool site. It's better than ever. :-) "
Math Cats was Net-Mom's "Site of the Day" on April 12, 2004; January 29, 2005; and July 29, 2005. "Math Cats - A site created for children - wonderful design, amusing, amazing - emphasis on design and mathematics, but many other aspects included... The site was created only last September by Wendy Petti and is a one-person operation, but it is already a tremendously innovative and quite amazing place to visit. The site is packed with content and yet it is easy for children to navigate and explore on their own... From this write-up you might get the idea that I'm very impressed - it gives a new meaning to WWW - Wendy's Wonderful Work! ..."
"English logician and philosopher Bertrand Russell wrote in 1917, "The true spirit of delight, the exaltation, the sense of being more than man, which is the touchstone of the highest excellence, is to be found in mathematics as surely as poetry." A former teacher with no Web-design experience has taken this quotation to heart and started a one-woman crusade to make mathematics a dazzling display of fun. Trying to concentrate less on the mundane and more on the fantastic, her cyber-stop turns the study of numbers and relationships into an eye-popping adventure..."
Math Cats received four A's (highest ranking) to join Access Magazine's A-List on January 28, 2001. "Bottom line: Learning math is fun at this highly interactive site."